The Avarampoo flowers are dried and ground into a very fine powder. This powder can be mixed with face wash powders and curd for external application. It has been used by thousands of Indian women over the years to treat uneven skin, prevent black spots and keep the skin free of blemishes. 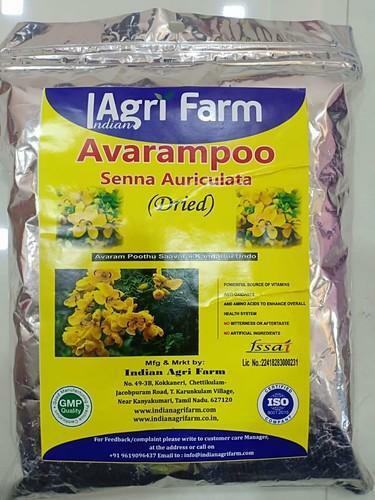 Avarampoo increases the glow of the skin and improves complexion when used on a regular basis.